Organic growers can still turn a tidy profit in 2018, according to Manitoba Agriculture cost-of-production figures released at Ag Days. Roy Arnott, a provincial farm management specialist, said it all comes down to what crops growers pick. Among the most profitable crops are hemp, which on paper nets $256.54 an acre, winter wheat ($283.10/acre), spring wheat ($207.72/acre) flax ($136.17/acre) and oats ($45.25/acre). Some of the money-losers include soybeans (-$44.12/acre), feed barley (-$95.23/acre) and fall rye (-171.50). Similar cost-of-production estimates on the conventional agriculture side reveal a tighter band of returns and generally smaller numbers. For those growers the most profitable crops are canola ($41.99/acre), soybeans ($49.71/acre) hard red spring wheat ($12.01/acre) and oats ($12.26/acre). Crops that won’t likely turn a profit include winter wheat (-$29.10/acre) and flax (-$32.50/acre). This is the fourth year Arnott has completed a cost-of-production (COP) analysis for organic farmers, with budgets aimed at helping these growers make COP, after factoring in differences in yields and market prices, the basis for deciding what to grow. Generally, operating costs for organic crops are ranging between $200 and $250 an acre, with total costs ranging between $350 and $400 an acre. Comparatively, those same costs range slightly higher on the conventional side at about $200 to $300 operating costs and $350 to $450 for total costs. That lower cost-structure on the organic side, combined with higher prices, means the break-even yields for some crops are lower. 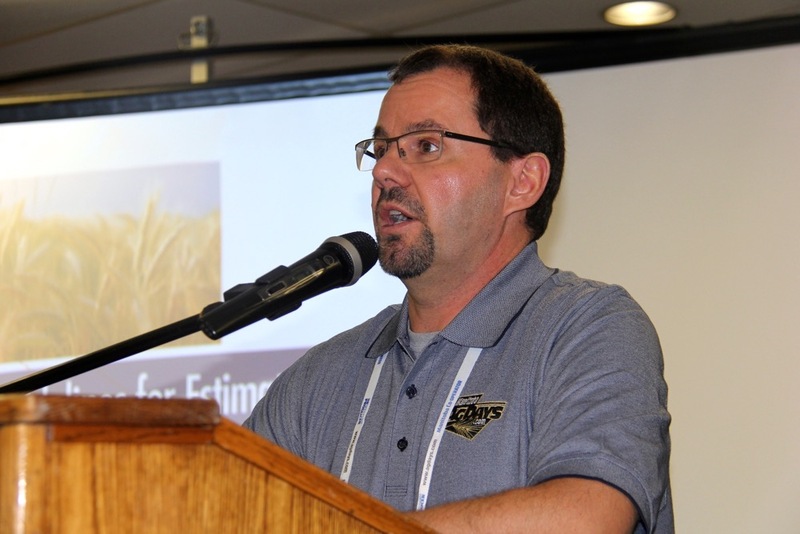 When considering both operating and fixed costs, a grower would have to product 19.9 bu./acre of spring wheat, 9.9 bu./acre of flax, 61 bu./acre of oats and 14.3 bu./acre of soybeans. “Those do seem relatively achievable,” Arnott said. Far higher yields are required on the conventional side to hit break-even. Canola crops would need 34 bu./acre, winter wheat 67 bu./acre, hard red spring wheat 49 bu./acre, flax 24 bu./acre, oats 92 bu./acre and soybeans 32 bu./acre. Looking at it another way, based on average yields organic growers would need to see wheat priced at $10.24/bu., flax at $23.09/bu., oats at $4.38/bu. and soybeans at $25.26/bu. “Again, from what the market currently is at, it does appear that these break-evens are definitely achievable,” Arnott said. By comparison, to break even prices on the conventional side will need a bushel of wheat selling at about $6.09, flax at $12.60, oats at $2.85 and soybeans at $8.51. Arnott also presented a stress test scenario with a 10 per cent price drop and a five per cent yield drop. Even then things are still largely profitable for organics, with a $150/acre profit margin on hemp, $185/acre on winter wheat and $112/acre on wheat. The notable exceptions in that scenario would be soybeans at a loss of $108/acre and oats at $21/acre. The same scenario for conventional grower would take things “from tight to worse,” Arnott noted. Ultimately, what the analysis is showing is a bigger cushion for organic growers, he said. Arnott’s Organic Crop Production Costs 2018 presentation can be found in its entirety on the Manitoba Agriculture website.